Welcome to Kevin Wood Landscapes, innovator of modern organic design, specializing in native landscapes designed to fit your home or business needs. We have been in the industry for over 25 years, offering professional landscaping services in the Austin Metro area. Please feel free to look around. If we can be of any assistance to you for your next landscaping project in or around Austin, please contact us at (512) 250-9004 and let us know. 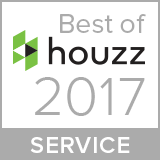 We look forward to working with you on your next Austin landscape design! Kevin Wood started Kevin Wood Landscapes 25 years ago with the goal of creating beautiful landscapes with a regional Texas flair. We continue to build residential projects using organic techniques and high quality craftsmanship. Kevin Wood Landscapes offers natural and beautiful landscape solutions including Outdoor Kitchens, Xeriscapes, Firepits and Fireplaces, Professional Hand-Drawn Designs, Custom Stonework, Unique Water Features, Irrigation, Lighting, and more. View the latest landscaping and gardening tips and techniques from Sheryl McLaughlin, Active Owner, and Native Central Texas Plant Specialist. Sheryl is also the host of the KLBJ Austin Gardener Show on 590AM, which airs Sundays at 10am. Professional landscaping includes many different facets of individual expertise. We have hundreds of years of combined knowledge in everything from rock work to xeriscaping to patio design, and even custom swimming pool design. 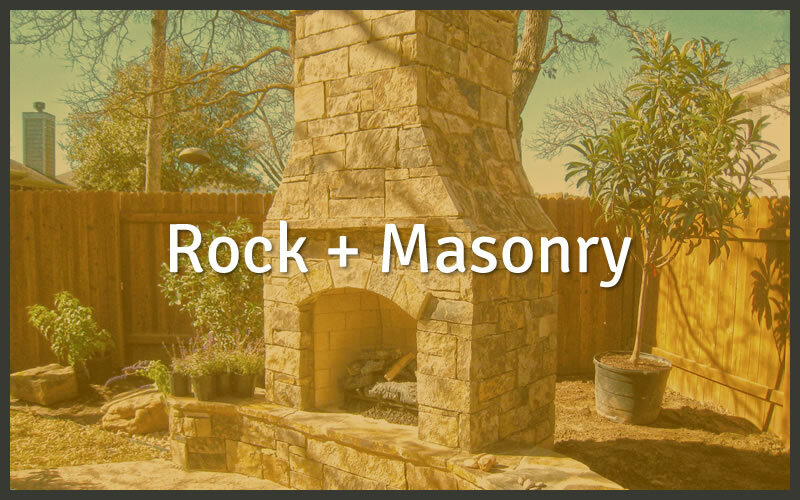 If it's in your front or backyard, you can trust that we are fully capable of pulling off your Austin landscaping project, and doing it right the first time. 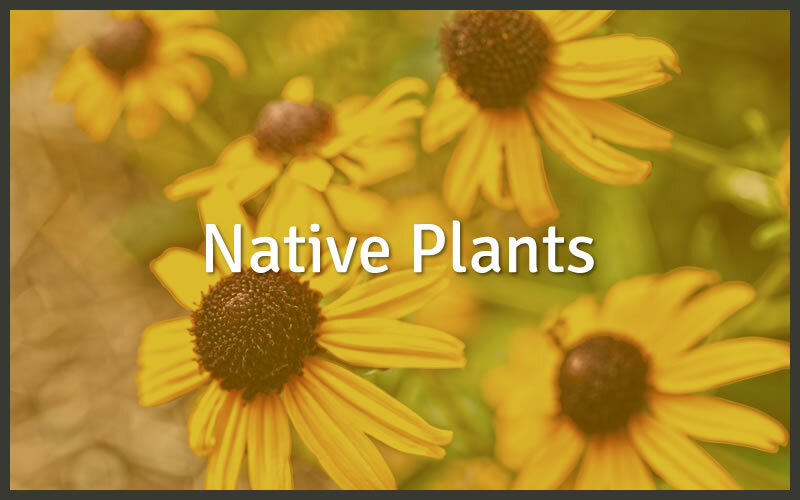 Whether you are landscaping for winter or summer, native plants are always a safe bet. Kevin Wood Landscapes has decades of experience providing native plants that can survive throughout our high heat summer droughts as well as the semi-chilly winters. Have a project that doesn't involve plants? Yes, we do that as well. From custom driveways to stone patios to outdoor fireplaces, Kevin Wood Landscapes can kick your home's stone work up a notch and make you the envy of your neighbors. Did somebody say drought? With a landscape water feature from Kevin Wood Landscapes, you won't even notice the fact that is is 100+ degrees. 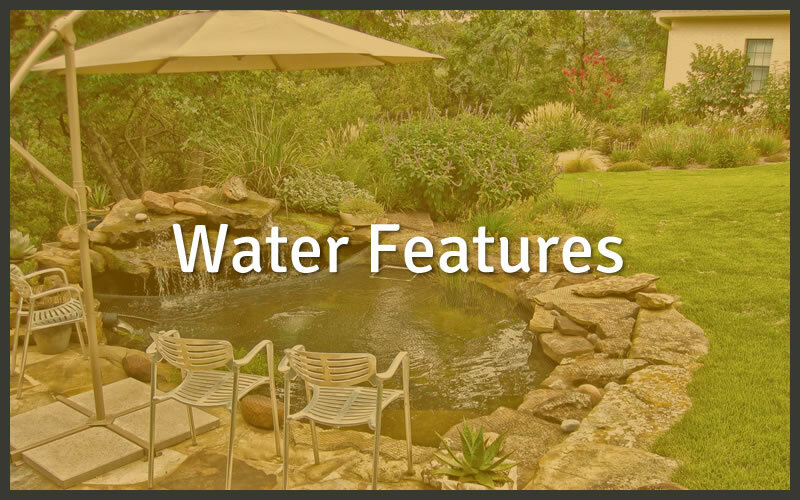 Our custom creeks, drainage solutions, and waterfalls are the perfect cure for a Texas summer.